Paramecium is a genus of the single cell Ciliate Protozoa and are found in freshwater, marine areas, and often in stagnant ponds. 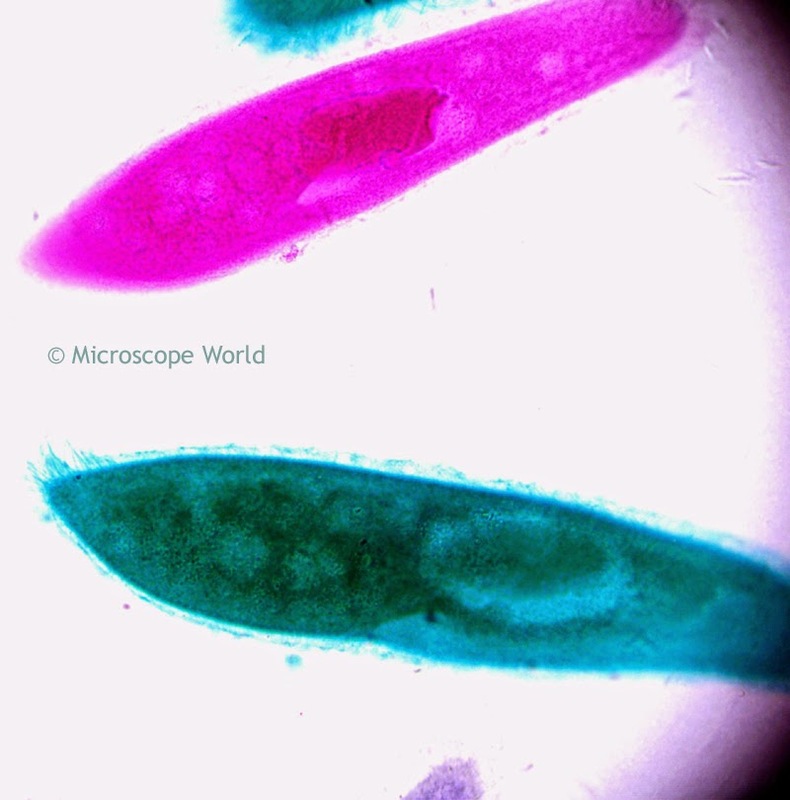 Paramecium are unique to microscopy because they were one of the first ciliates to be seen by microscopists in the late 17th century. Paramecium captured under the microscope at 400x. In 1718 the French math teacher and microscopist Louis Joblot published a description and illustration of a microscopic "Poisson" (translated fish) that he discovered in an infusion of oak bark in water. It was a Paramecium. He called it "Chausson" (translated slipper) and the term slipper animalcule remained in use as an everyday description for Paramecium throughout the 18th and 19th centuries. 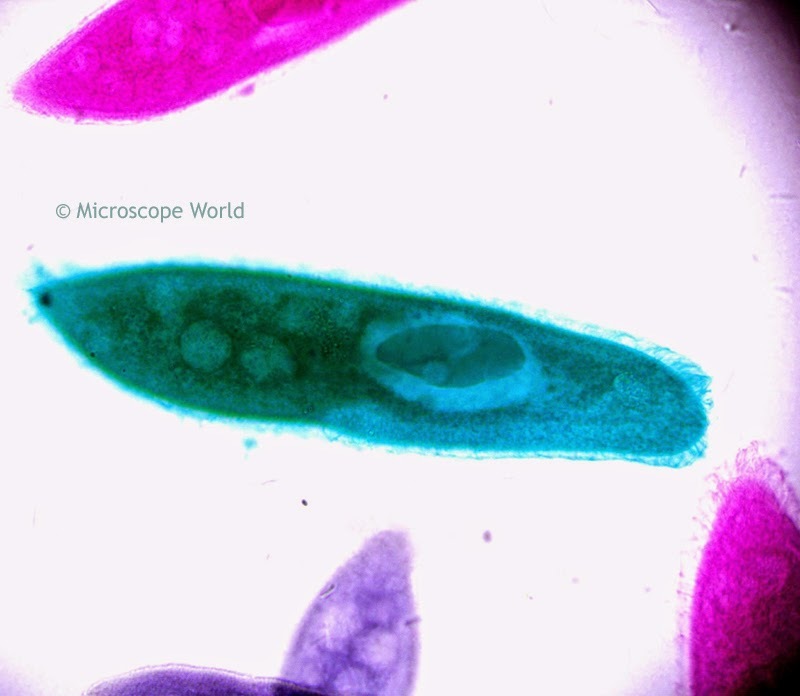 Paramecium captured at 100x under the microscope. The name "Paramecium" was constructed from the Greek paramekes and means "oblong". 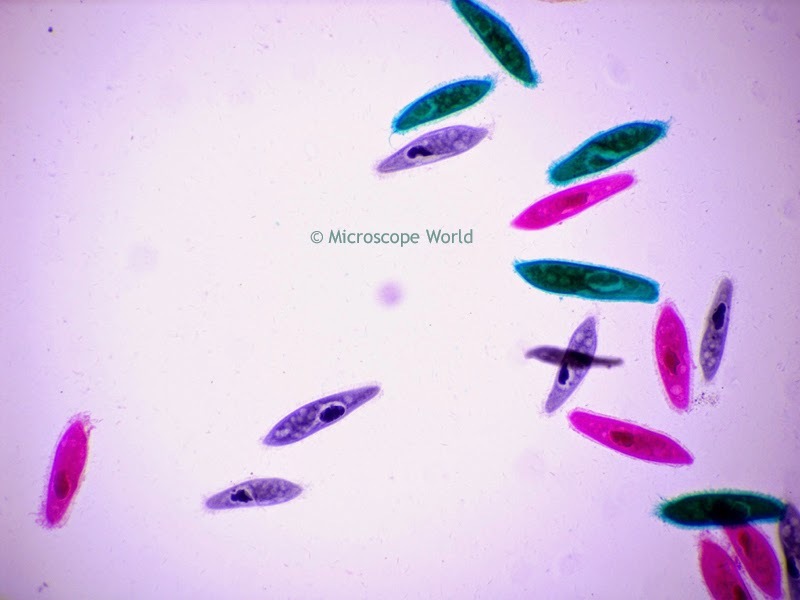 All Paramecium images were captured using the U1 trinocular biological microscope and a microscope digital camera.